Soak 100 gms each : Boiled rice, Thuvaramparuppu, Kadalai-Paruppu and Payatham-paruppu for 3 hours. Coarse grind with 4 nos Red Chilly, Aaharam Asafoetida and Kal-Uppu. In that add half chopped curry leaves and mix well. Heat oil and make round shaped Kunukku with hand. Deep fry always in medium flame, until cooked inside. Serve hot with Ginger Tea / Aaharam Filter Coffee. Cut 1/2 kg Gobi to florets to 1 inch size, remove the stem of it and bring to boil in water, adding salt to it, allow to cool, drain water completely and keep aside. In a mixer, add 1 handful of Cashew, and 1 handful of Grated coconut, grind to fine paste adding little water and keep ready. In a kadai add butter, add one medium size chopped onion, 2 green chilly, 1 inch size ginger and 1 ripen tomato and saute well, until meshy. Now add 1/2 tsp of garam masala powder, 4 cloves, 1 cinnamon stick, 1 star anise, 2 cardamon and mix well. Allow to cool and grind to a fine paste. In the kadai add butter / ghee 2 tsp, add the grinded onion/tomato paste and add the Gobi florets, add little salt and mix well until all the masala gets into the gobi and cooked well. Now add the grinded Coconut/Cashew mixture and mix well.. Add 50 ml of water and mix well. Allow to cook to in medium flame. Now remove lid, add required salt, mix well. now add 100ml Fresh thick milk / or Cream of your choice and mix well again. Cook in medium flame for 3 - 5 minutes with cover. 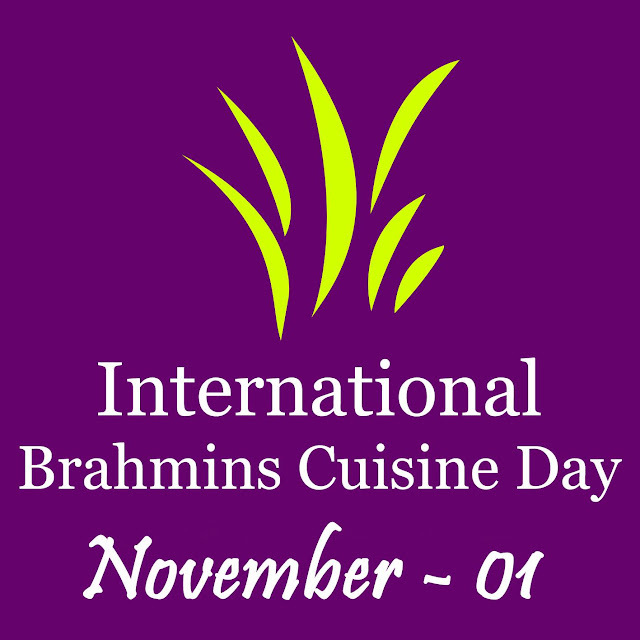 Remove from flame, transfer to serving bowl and garnish with fried raisins and chopped coriander leaves. 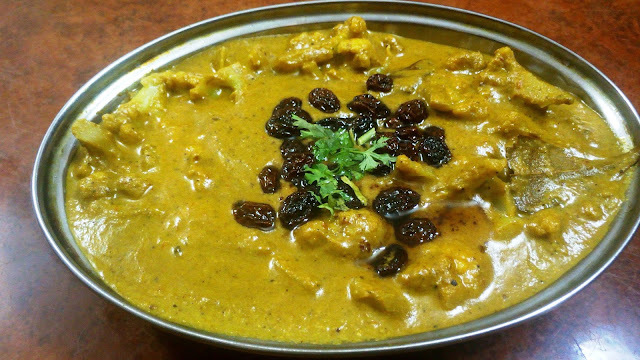 Your Rich gravy Shahi Gobi is ready to serve with Chapathi / naan / Phulka / roti. Serve with pride. Serve with Joy. 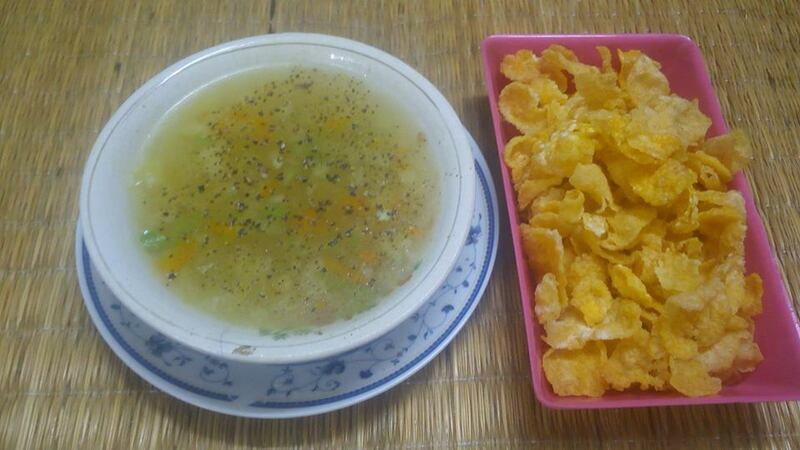 Veg clear Soup with Fried corn flakes. Recipe for Veg Clear Soup. : Fine chop onion, Beans, Carrot, Cabbage and saute in 2 tsp of butter. (Dont saute in oil or ghee. The taste of the soup lies sauting in Butter only). Add boiling water into it, add salt and boil, until veggies are cooked. Add salt to your taste while veggies are cooking. Now take 1 tsp of Corn Flour, mix in water and add to the Boiling Soup until its like thick (Check soup consistency). Transfer to serving bowl, top up with crushed pepper, chopped cilantro and fried Corn Flakes and serve hot.... Your yummy veg clear soup is ready. 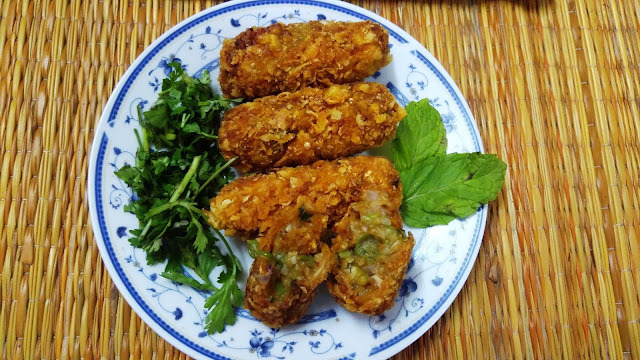 Recipe for KFC Style Veg Kebabs. Boil 2 medium sized potatoes, 1 handful of green peas, 2 medium carrot and 1 cup of sweetcorns, drain water, mash it. Add to this 4 tsp of all purpose flour, 2 tsp of coun flour. In a kadai add 1 tsp of butter, add 1 no finely chopped onion, 1 tsp of GG paste, 10 nos of finely chopped beans and add to the mashed potatoes. To this add 1 tsp of chilly flakes, chopped celery, 1/2 tsp of Garam masala, 1 tsp of Herbs (Celery, oregano, etc - if available, else no need). Add required salt, 1 tsp of sugar and mix well and roll on to kebabs of your size. 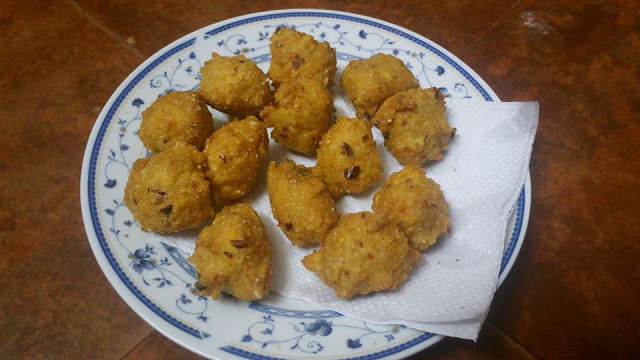 Dip the kebabs in Corn flour + maida paste (2 tsp of corn flour and 2 tsp of maida made into Bajji mix consistency). Roll on the same into grounded bread crumps and grounded Corn Flakes. Deep fry in oil and serve hot with Rice Bowl. Your yummy KFC style Veg Kebabs are ready to serve. Serve with Pride and Serve with Joy. Peel Skin of White Pumpkin, remove the inner seeds, chop to 1/2 inch cubes, wash in running water, drain and keep aside. In a kadai add 2 tsp of Jeera, dry saute, allow to cool, powder in mixie and keep aside. In the same kadai, add 2 tsp of Gingelly oil, sizzle 1 tsp of Jeera, and add 1 tsp of our Aaharam Asafoetida. Then add the chopped / washed pumpkin, mix well. Sprinkle some water, cover with lid and allow to cook for 3 to 4 mins in medium flame. Once cooked, remove lid, add salt, Turmeric powder, Chilly powder, mix well. Now add 10 to 15 Fresh Pudina (Mint) leaves, mix well. Once cooked, Sprinkle 1 tsp of Rice flour and powdered Jeera Powder. Saute well until all are mixed up, remove and garnich with finely chopped Coriander leaves. 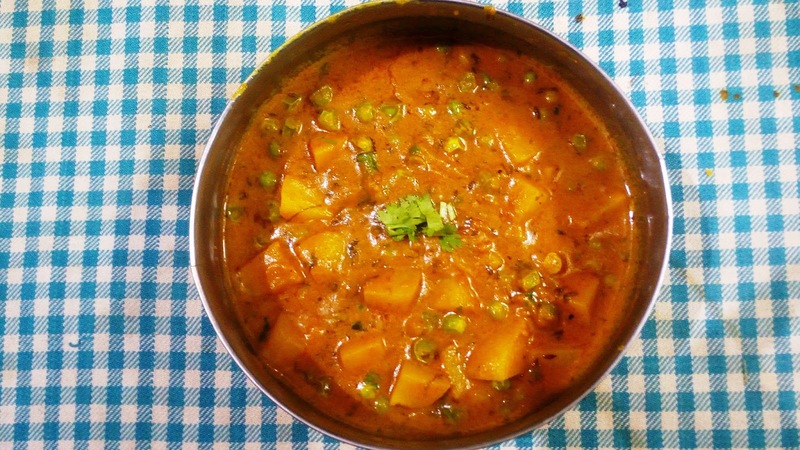 Your Pumpkin Masal (Dry Curry) is ready to serve with Plain rice as accompaniment. Serve Hot, Serve with pride and Serve with Joy...!!!! Again a traditional dish from interior villages of Tamilnadu and almost from South India. This recipe is similiar to cooking Idly with Lentils and sauted with Veggies.. but not exactly veggies. 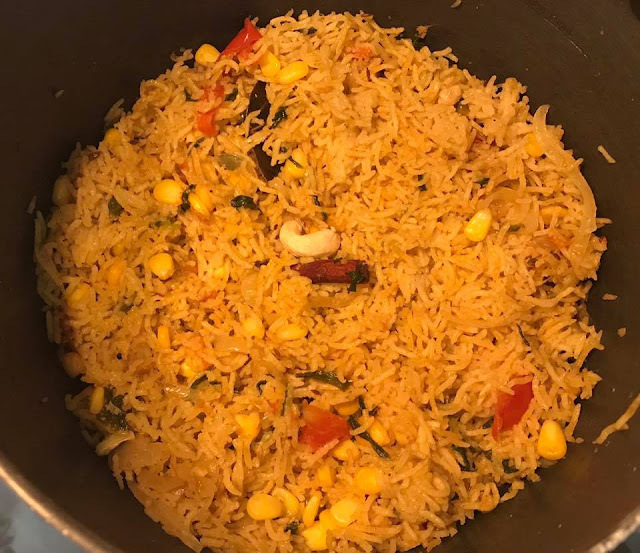 This goes yummy with a spicy chutney as the recipe is highly nutritious and good for growing children and maintains good health. 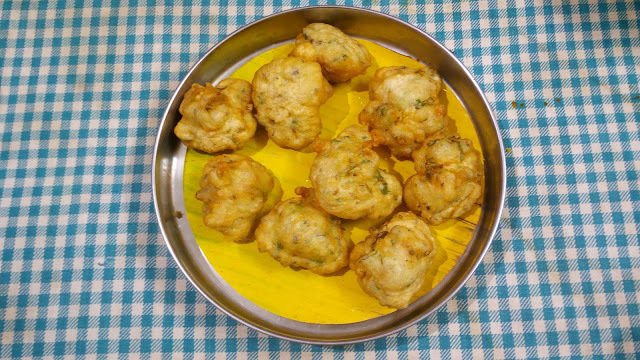 Tambrahmn from Southern part of India would be very famous in making this dish in olden days, but now a forgotten dish. Please see the recipe below, try now and get us your feed back. Prepartion method for Seeyaalam : Soak the lentils for 3 hours. Grind the lentils along with Green chillies to fine paste like idly batter. Steam cook in Idly plates after greesing with oil and cut into 1/2 inch pieces and keep ready. In a kadai add 4 tsp of oil, sizzle mustard seeds, urud dal, add onion and saute till golden brown. add Curry leaves 1 arc, Aaharam Red Chilly Powder, Dhania powder and saute wel. Now add the chopped Lentil Idlyies and mix well. Add required salt to it and mix well.. Remove from flame... Squeeze lemon over it and mix well. Serve with spicy chutney of your taste. 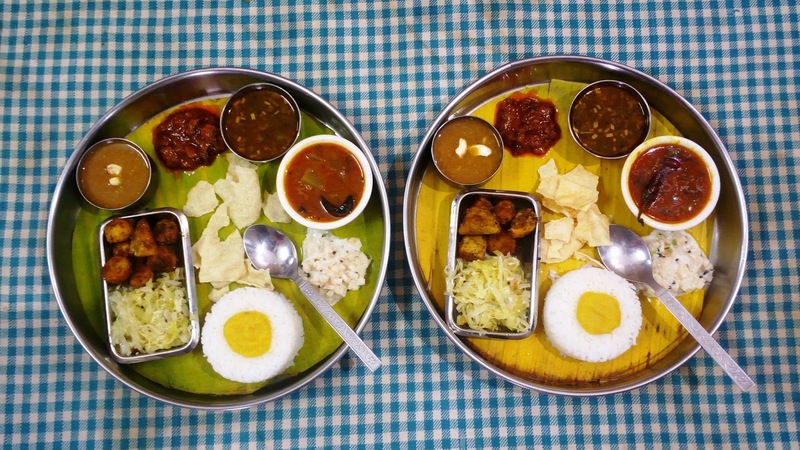 Your traditional / Authentic Seeyalam is ready to serve. Serve with Joy and Serve with Pride. oru tumbler raw rice 3 hours oora vaithu vadi kati mixiyil pottu konjam thanni Ootri nandraga myya arrithu, meendum athil kal kilo vellam podithu potu athanudan oru rasthali vazhai pazham urithu potu arraikkavum athanudan konjam kothumai mavu, nandraga poditha cashew, batham, elakkai 5 spoon urulkiya nei serthu idli mavu pathathukku karaikkavum. Oru vanliyil ennai ootri kainthathum mavai oru chinna kuzhi karandiyal eduthu ennaiyil directaga ootri aduppai simil vaithu appathin mel ennaiyai karandiyal eduthu eduthi ootri thiruppi pottu sivantha vudan eduthal suvai mikka nei appam ready. A traditional recipe from thirunelveli district. 1. Mix milk, saffron and besan flour without any lumps. 2. In a kadai add this besan mix. Keep Stirring. 3. Once it’s thicken, add powdered jaggery, let it cook well. Add ghee and mix well. 4. Once it gets nice thick, add powdered cashew, and camphor. Switch off. Don’t cook for long after it gets thick at the end. It should be like Halwa consistency. 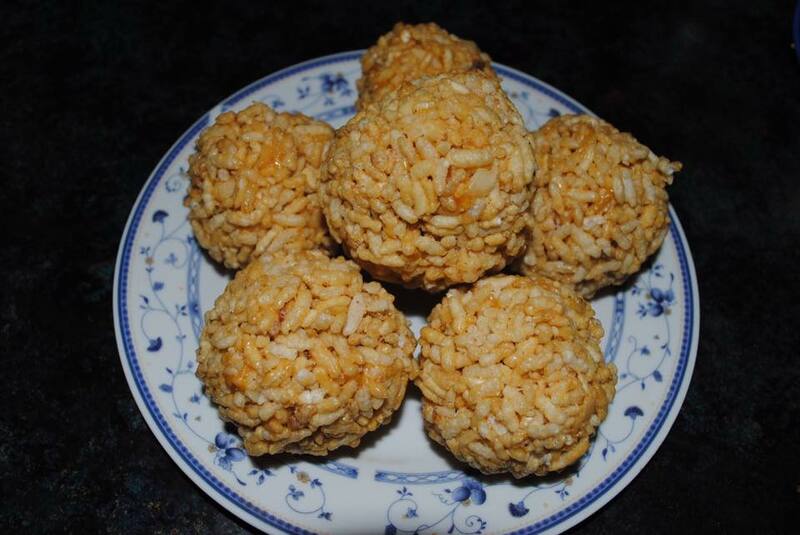 I added jaggery instead of sugar for healthier version. Actual recipe is made from sugar. 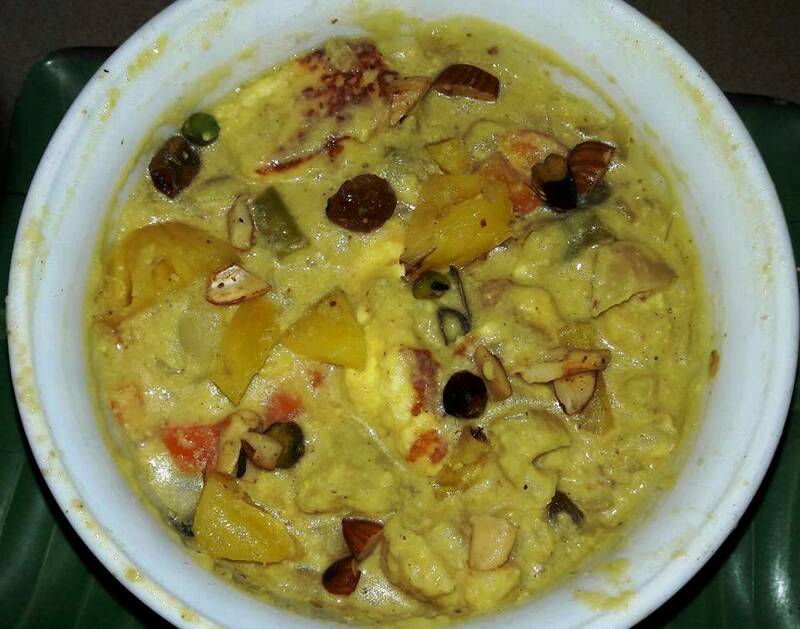 Ingredients : Cinnamon elachi bayleaves and clove each 1 no, Mixed veggies one cup (carrot potato cauliflower beans peas etc), Curd one cup, Onion 1 No, Ginger garlic paste, Khus khus little, Cashews 10 nos, Green chilli 1 no, Panneer one small cup cut inot small pieces, Butter, Salt, Turmeric powder a pinch, Saffron little, Pineapple cut into pieces ine small cup, Mixed nuts little. Preparation : First soak cashews and khus khus in hot water for 30 mins.aftee half an hour grind it in mixie and keep the paste ready. Beat the curd and keep it ready. Boil potatoes and keep it ready. Cut pannneer into small pieces .add butter in kadai and roast it and keep it ready.also roast dry fruits in tbe same pan and keep it ready. Add one spoon butter and saute pineapple also. Cut all vegetables and boil it and keep in ready. Making Method : Take a kadai /pan and add one spoon butter .now add cinnamon bay leaves and elachi 2 nos and saute .then add onion saute till raw smell goes.then add Ginger garlic paste and saute for another few mins till raw smell goes.then add the grounded cashew and khus khus paste .again saute till oil separates.then add beaten curd boiled veggies and add water salt and (adjust the quantity) and boil for sometime. Then add pannner pieces ,a pinch of turmeric powder and garam masala powder.finally add pineapple pieces and switch off the flame.while serving the dish add dry fruits. Delicious rich side dish. Procedure : Dry roast all the ingredients one by one and grind in mixie once cooled. Keep rice in cooker in the ratio of 1:2 of rice and water. Make sure the rice is not mushy. 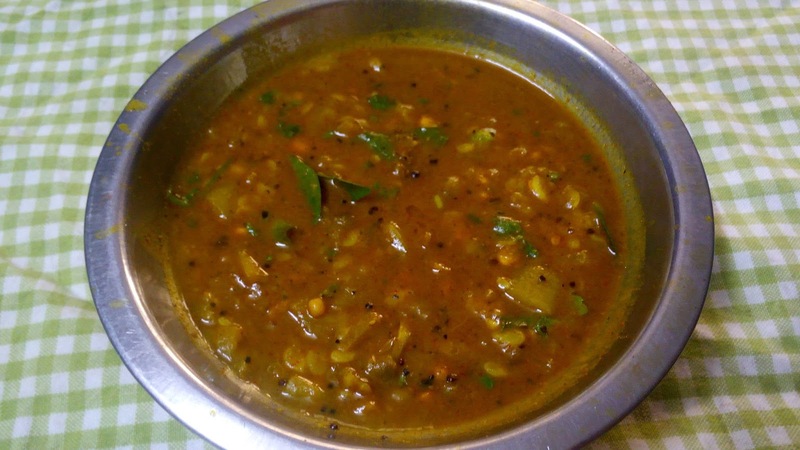 In Kadai, Temper the ingredients mentioned. Add little hing and add the rice and salt. Switch off the flame and finally add the powdered mixture. If required we can add paruppu podi. This will enhance the taste.. Mix and serve with hot potato fry or appalam or vadaam. Some of the best Road Side Hotels in Tamilnadu serves a typical Watery gravy (Salna) for Parota / Chappathi. Whenever one goes on tour, would sure have Parota / Salna, which tingles the taste buds. Salna, the road side gravy sometimes goes yummy with Big dosa and soft / sponge Idlis too... Its nothing but a plain, watery spicy gravy packed with awesome flavour. You cant find any vegetables except onions and skin of tomatoes and a layer of Oil floating on the top of the Salna. In today's recipe, we shall try to make out this Road Side Salna. In a flat bottom cooker base, add 2 tsp of oiladd chopped onions, fry till transulent, add hand full of mint leaves, add GG paste and tomatoes one by one until all turns mushy. Now add the grinded masala paste, add required salt, little turmeric powder if needed for perfect colour. Add required water and pressure cook for 1 whistle. Once you open the cooker, you can see layer of oil floating on top and you get the perfect aroma of Salna. If you feel its more water, allow to open cook for another few minutes in medium flame until you get the required consistency. Remove from flame and garnish with finely chopped Coriander leaves. Your yummy, special road side hotel's, water gravy @ Salna is ready to serve. Preparation Method : 50 gms of Soya Chunks boiled in water, squeezed and washed in running water, squeezed and keep ready. In a bowl add 4 tsp of Fresh Curd, 1/2 tsp of turneric powder, each 3/4 tsp of Red Chilly, Coriander, Jeera powders required Salt, 1 tsp of GG paste, 1/2 tsp of Vinegar and mix well with the chunks. Marinate them and keep in deep freezer for about 15 mins. In a chinese wok, add 2 tsp of Oil and keep in high flame. Once fumes starts, add the marinated chunks and add 1 arc of curry leaves. Mix well. Now add Tomato sauce and soy sauce and saute well again high flame until water is gone and the the chunks gets dry. Remove from flame, place in a serving tray, garnish with finely chopped coriander leaves, and serve hot as Side dish or Starter or Snacks. Dear Members... Here is video making of Traditional / Authentic Curry Leaves Kuzhambu explained in correct proportion and procedure by Mrs. Ganesan, Samayapuram, Trichy on 26/11/2017 at their residence. 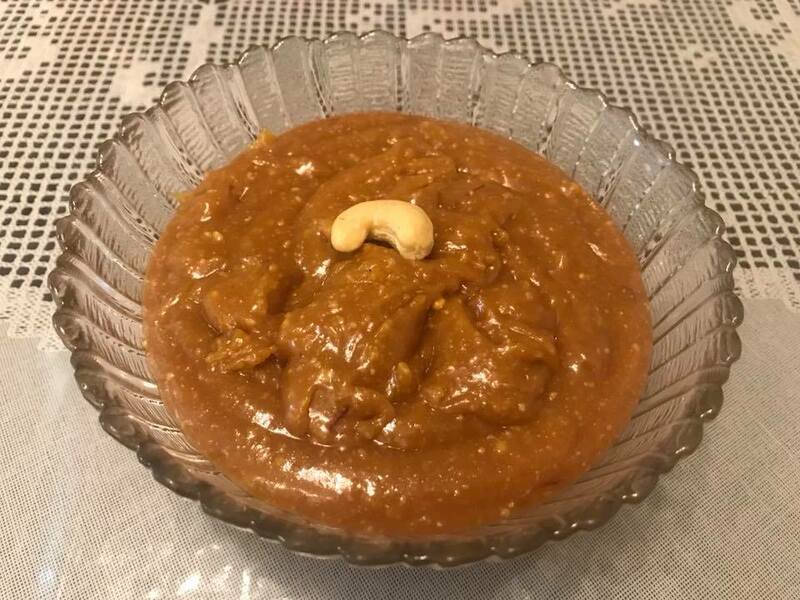 This recipe is a medicinal recipe and almost suitable for all age people and especially in this Winter / Rainy season, is an authentic dish from Tanjore delta, especially by brahmins. This Kuzmabhu goes yummy with steamed rice and curd rice, and keeps our stomach free and clean from digestion complications. 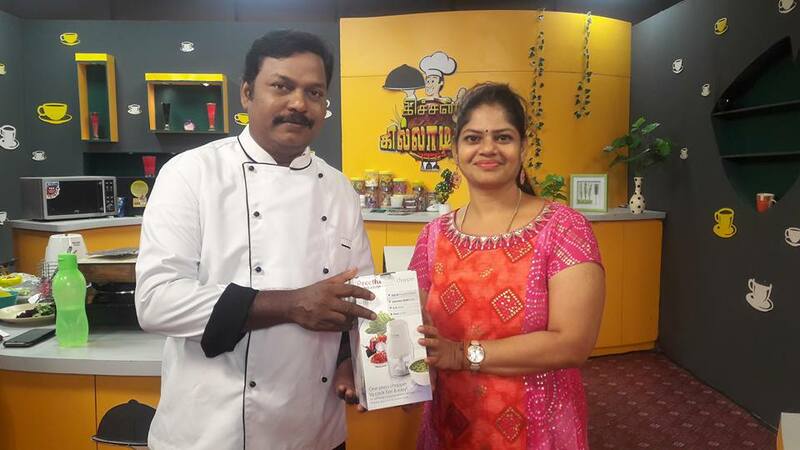 One of our Aaharam Member who has participated in Kitchen Killadigal Cookery Contest conducted by Vasantha TV has Won II Prize (Second Prize) in the competition.... Its proud to all our members too... Kudos to her Cooking Skill. Soak Rajma Masala overnight and Pressure cook adding half salt, with 4 whistles and keep ready. In a Kadai add Butter and sizzle cumin seeds and add 2 nos finely chopped onions and 2 slitted green chilles. Saute well until colour changes. Now add 3 tsp of Kasuri Methi. Mix well. Add finely chopped Tomato, 1/w tsp turmeric powder, 1 tsp Chilly Powder, 1 tsp Garam Masala Powder, 1 tsp of Coriander Powder and 1 tsp of Jeera powder and mix well. 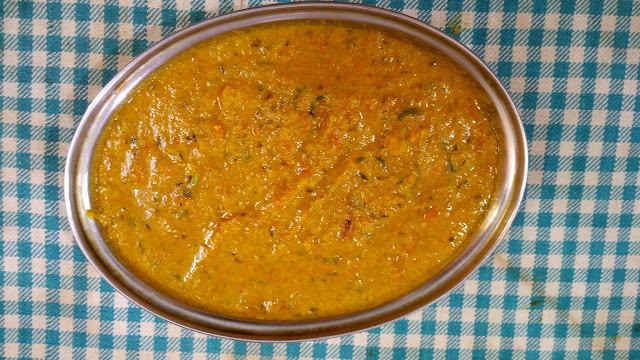 Once tomatoes are cooked, Mash it into fine paste and add salt as required and add 1 cup of Fresh Cow's Milk and cook in medium flame. After 3 mins, remove lid and add the cooked Rajma, adjust salt and water and cook again for 3 to 5 mins in medium flame. Once cooked, remove and add 1 tsp of butter again and mix well. For extra spicyness, in a kadai add 1 tsp of ghee, and add 1/2 tsp of garam masala and Aaharam Red Chilly Powder, and mix with the masala. Remove from flame, garnish with finely chopped Coriander leaves and serve hot with Batura, Roti / Butter Naan of your choice. 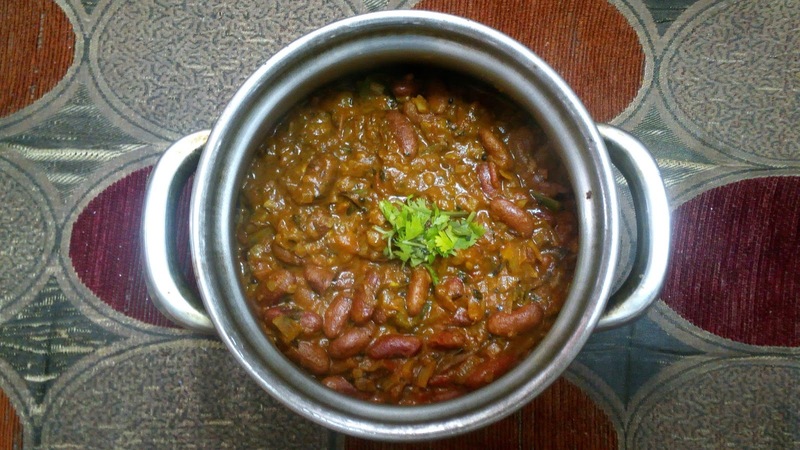 Your Special Chef's Style Rajma Masala is ready. Please note.. This is Rajma Masala and not Gravy. Gravy contains Ginger Garlic Paste. This masala contains only Garam masala added and the spicyness can be adjusted with the adding of Butter and Milk to it... Please make at home and get us your feedback. Thank you all. Preparation by Chef. Varshini at Home. 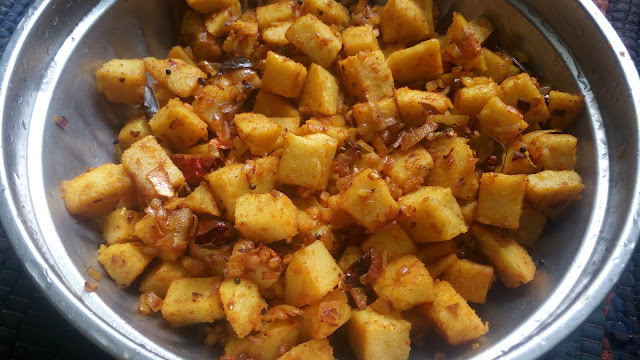 Ingredients : Potato 250 gms, Paasi Paruppu : 100 gms, 2-Tomatos, 2 green Chillies, pepper 2tsp, Jeera 1 tsp, Garam Masala 1 tsp, Coriander Powder 1 tsp, Aaharam Red Chilly Powder 1 tsp, Lemon 1/2 no. Pressure cook Paasi Paruppu along with chopped Tomato, Slitted Green Chilly, Salt and Turmeric powder. Once cooked, mash and keep ready. Peel Potato skin, chop into 1/2 inch cubes and keep ready. 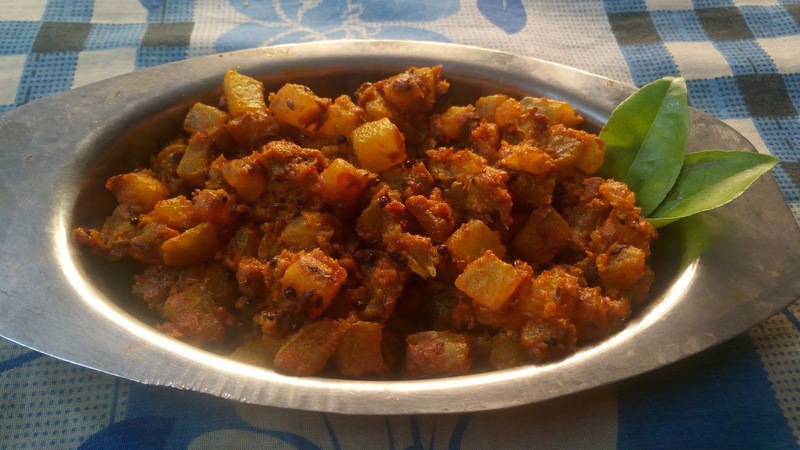 In a kadai, add oil, temper jeera, and add the chopped potatoes. Add Coriander powder, Red chilly powder, Crushed pepper, Garam Masala powder and cook in medium flame covering with a lid. Toss in interval. Once cooked, add the mashed Dhal into it and check for consistency. Add salt and adjust as required. Once starts boiling, switch off and garnish with squeezed lemon juice and chopped coriander leaves. Your special No-Onion No-Garlic Aalu-Dhal is ready to serve with Roti / Phulka / Naan / Steamed Rice, Chapathi, etc. Method : In a Kadai, boil the vegetables with Water and Salt. 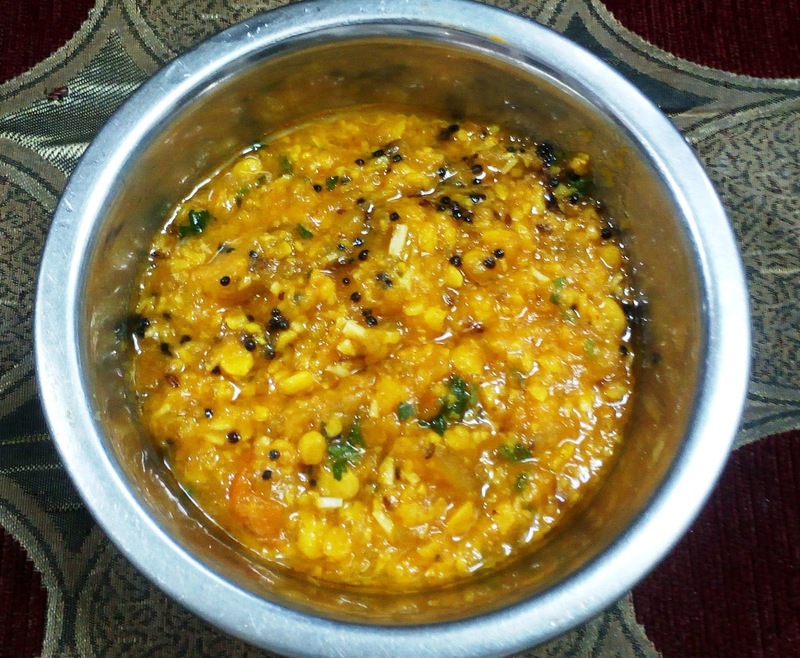 In the meanwhile, separately soak the toor dal, coriander seeds, jeera in water and after 10 to 15 mins, grind the soaked ingredients with coconut, green chillies, ginger and very few curry leaves in the form of a paste. When the vegetables in the kadai are 3/4th cooked, add the above grounded paste to the kadai and add few more curry leaves now. Leave it for 5 to 10 mins and add the Beaten sour curd also to the Kadai now. Boil coconut oil in a kadai and add mustard seeds, allow to splutter and add this seasoned mustard to the More Kootu now. Add very very little quantity of coriander leaves. PS - Do not add Asafoedita to More Kootu since it may give a light bitter taste. Always soak lemon sized tamarind in Warm water for 20 to 30 mins. Discard seeds, squeeze tamarind water and keep ready. In a Heavy bottom Iron Kadai, add 4 tsp of groundnut oil and 4 tsp of gingelly oil. Once hot, add 2 tsp of Tur dhal, 1 tsp of pepper balls, 1 tsp of Fenugreek seeds, required amount of Salt (Always use kal-uppu) saute well. Now add 1 handful of Manathakkalai Vathal (Or Sundakkai vathal of your choice), 1 tsp of Sambar Powder, 1/2 tsp of Turmeric Powder under aroma arises. Now pour the squeezed Tamarind slowly and take care that oil does not sluppter out. mix well and cook in medium flame. Once half cooked, add 1 tsp of Aaharam's Red Chilly Powder for a perfect color and texture, 1 tsp of Aaharam Asafoetida, one arc of Fresh curry leaves, 1/2 Tomato sliced, mix well and cook again on medium flame, until oil oozes out and the kuzhambu gets thickened. Serve this Traditional Vethakuzhambu with Steamed Rice, along with Aaharam Appalam and Potato Curry / Coconut Thogayal of your choice. 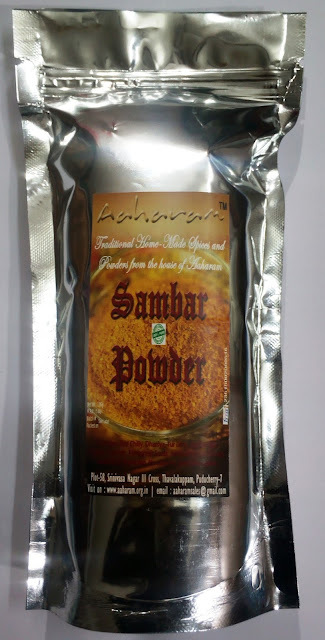 Sambar Powder, which contains a course spice mix made of roasted lintils, dried red chilles, fenugreek, coriander seeds with Asafoetida, finds an important place in making a traditional sambar in South India. Its a custom in many households to get it done at home, but each one has its own different taste due to the methodology involved or due to variation in the quantum of spices and one finds difficult at the end to get the Unique / Traditional / Authentic taste of Sambar. Aaharam's Special Sambar Powder, a 100 year old traditional recipe from grannies is a perfectly blended powder, selected from best quality spices and Lentils, gets you a perfect Aroma / Authentic and Traditional taste, whether be prepared at Home or at Functions. Our Sambar Powder is now available in 200 grams double sealed Aroma Packs, which retains its freshness at all times is just Rs.92/- per pack. 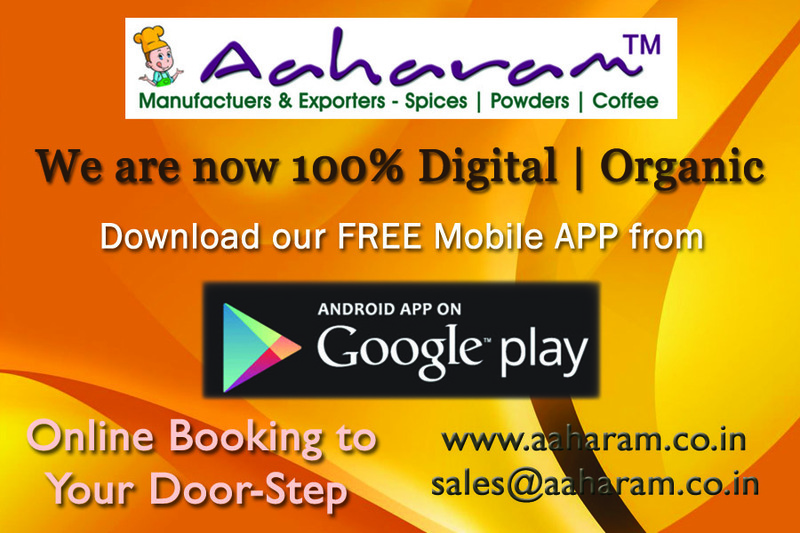 The best result on authentic Sambar can be had adding our special Aaharam Asafoetida to the Sambar. Getting Aaharam's Special Sambar Powder is not so tough. Just on a click on our purchase order form would lead to Door-Delivery within 24 to 48 hours by courier. Why wait?... 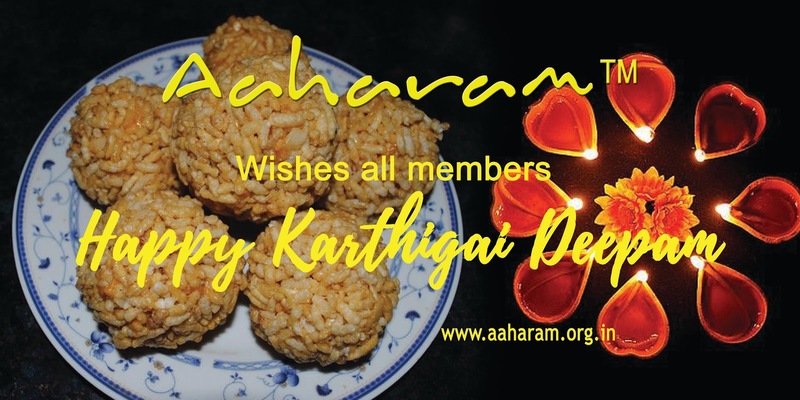 Log on to www.aaharam.org.in and place your order. 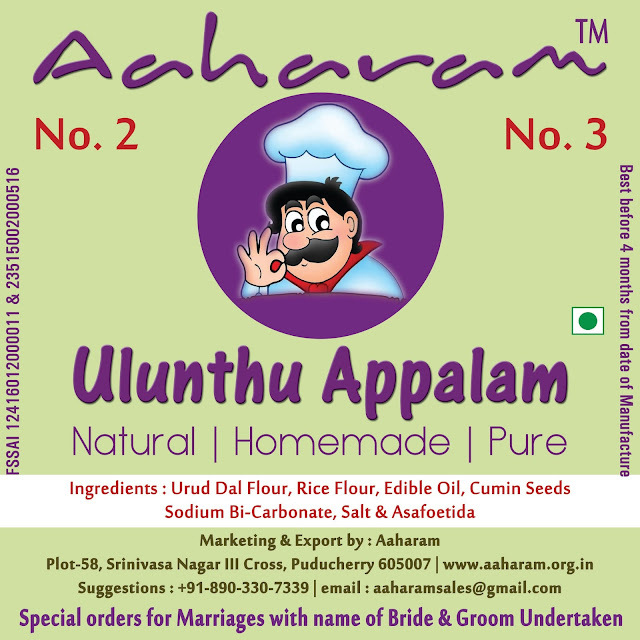 Soak 100 gms of Channa Dhal (Kadalai Paruppu) for 30 mins. Strain water and add to pressure cooker. 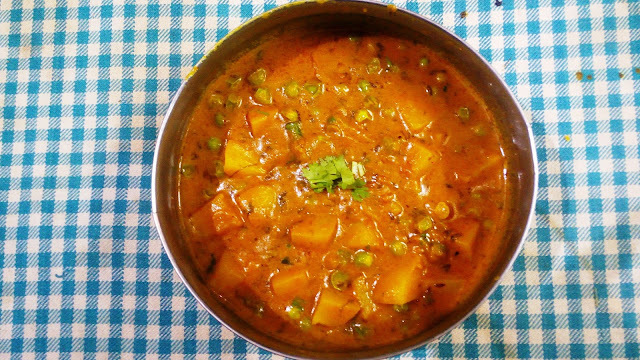 Add chopped Khadhoo (White Pumpkin cut into 1/2 inch cubes), add little turmeric powder and 1/2 salt, add little water and pressure cook for 4 whistles. Allow to cool and keep aside. In a Kadai, add 2 tsp of Ghee and 2 tsp of Refined oil, sizzle 1 tsp of Jeera. Add 1/2 tsp of Aaharam Asafoetida. Add 1 no finely chopped Green chilly. Now add curry leaves, finely chopped tomatoes (2 nos) into it and mix well and mash well when cooked. Now add 1/2 of Turmeric powder, 1 tsp of Aaharam Chilly Powder, 1/2 tsp of Jeera Powder, 1/2 tsp of Coriander powder and 1/2 tsp of Garam Masala Powder. required salt and mix well.. Once its meshy, remove and add the tadka to the Cooked Khadhoo and Dhal and mix well. The dhal should be neither be watery nor too thick... (Let it be in Idly batter consistency). Squeeze 1/2 lemon into it, add finely chopped coriander leaves and mix well. Your yummy special Khadhoo Dhal Tadka is ready to serve. Goes well with Roti / chapathi / phulka / Plain rice, etc. Recipe : Chop length-wise Carrot, Potato, Beans, Cauliflower florets / Broccoli florets and Nool-kol, add fresh peas. Mix all in water, bring to boil, allow to cool, strain and keep in a bowl. Sprinkle on it - Turmeric powder, chilly powder, corainder and jeer powder, 3 tsp of Thick curd, 1tsp of Lemon juice, salt, mix well, marinate for 30 mins in fridge. 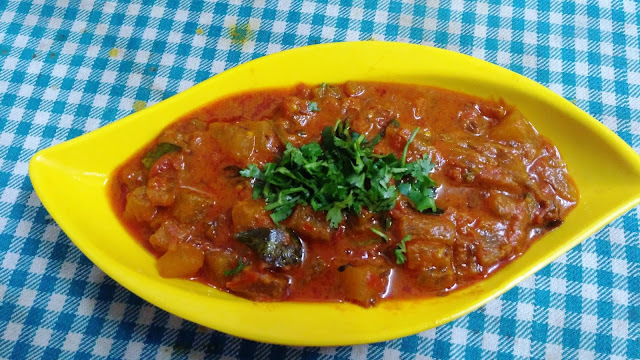 In a kadai add 1 tsp of butter, temper jeera / cumin seeds, a pinch of asafoetida, 1 pinch of star-anice, add 1 finely chopped onions and finely chopped tomatoes, one by one, saute in high flame. Now add the marinated veggies, saute again in high flame, check sault for consistency and sprinkle water if necessary. Remove from flame and garnish with finely chopped coriander leaves. 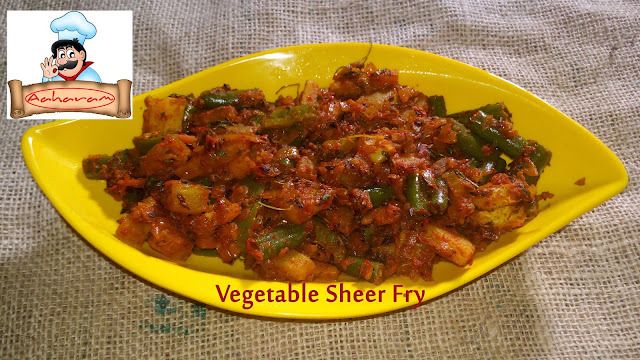 Your special Vegetable Sheer Fry is ready to serve This goes yummy with Roti / Naan / Pulav / Dum Biryani, of your choice. Kids who hate to have veggies would love to eat since it has all the taste. 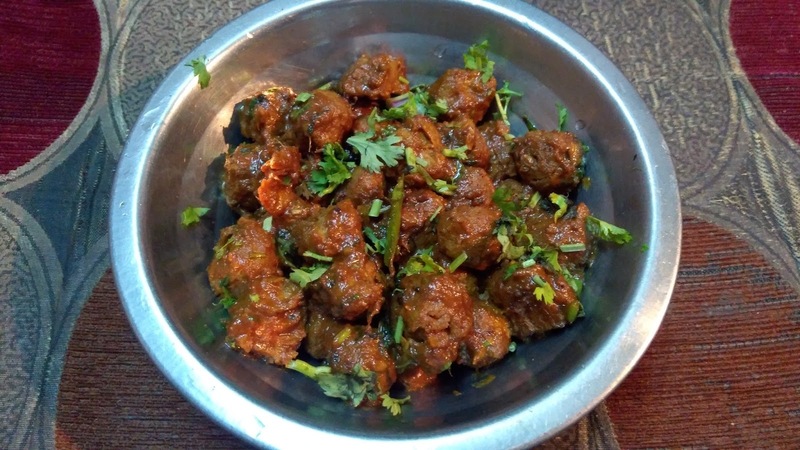 You can avoid Onion on this if you wish to and have it as a No Onion / No Garlic recipe. A typical recipe which is mainly served in many of the Gujju's house made with fresh peas, tomato and fresh yogurt. This is a side dish for almost all rotis / pulka / chappathi. The freshness of Mattar with mashed tomato along with Yogurt gives a tingling taste to your buds... . Recipe : Temper 1 tsp of Mustard seeds in 2 tsp of oil, add jeera and allow to sizzle. Add grated Ginger and saute for 1 min till raw smell goes. Add finely chopped green chillies, saute well, add finely chopped tomatoes and cook until soft and mushy. You can mash it with masher so that it goes fine mushy. Add salt, turmeric powder, chilly and coriander powder, mix well and again cook for a minute. Now add Fresh Peas (Mattar) and little water and cover cook for 3 mins or until peas are soft and tender until gravy dries out. Now add little water and 4 tsp of fresh whisked Yogurt and mix well immediately. Medium cook for 1 minute and add fresh / finely chopped cilantro (coriander leaves). 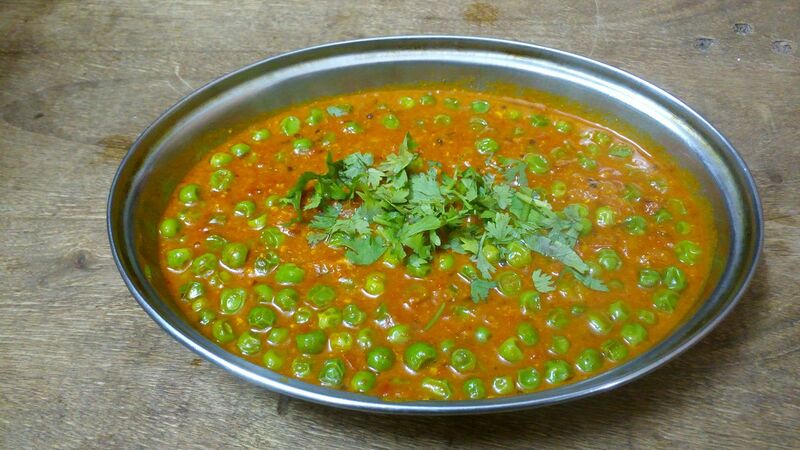 Your yummy No-Onion / No-Garlic Mattar Ki Sabji is ready to serve with Phulka / Roti / Chappathi / Plain Parata. This can be served as a Accompaniment to steamed Rice also. This is very special in our area, but other people used to make with Onion and garlic. 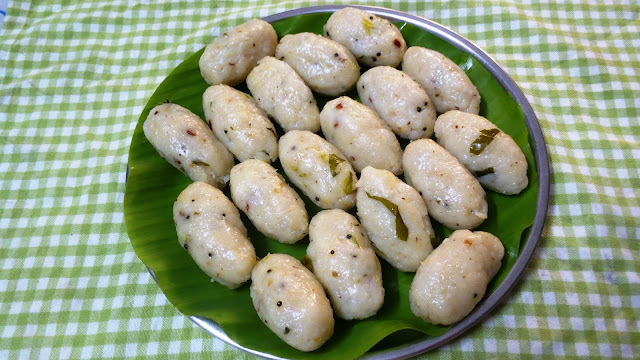 But this special recipe originally belongs to Salem District, when my mom used to make and pack for our idly / dosa during our school days in my hometown My mom's typical authentic cuisine from Salem Delta (Magundanchavadi), which is posted here. 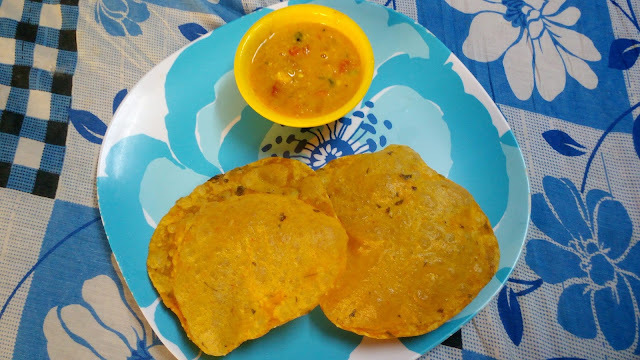 Recipe is very simple and goes very good with Idly, Dosa, Chappathi, Poori, etc. Grind 1/2 cup grated coconut with 2 greenchilly and 1 inch ginger and keep aside. Grind 2 tomatoes to paste and keep aside. In a kadai temper 1 Bay leaf, 1 tsp of Jeera, 1 tsp of Aaharam Asafoetida. Add the grinded tomato (puree) to it and saute well. Add Turmeric powder, Red Chilly Powder (Aaharam's Special chilly powder for perfect colour and spicyness0, 1 tsp of Coriander powder, and mix well.. Once gets thickened, add the coconut paste, and adjust water consistensy. Add required salt to the gravy and simmer for 3 mins untill cooked. Remove lid, add finely chopped coriander leaves and serve hot with Masala Poori. 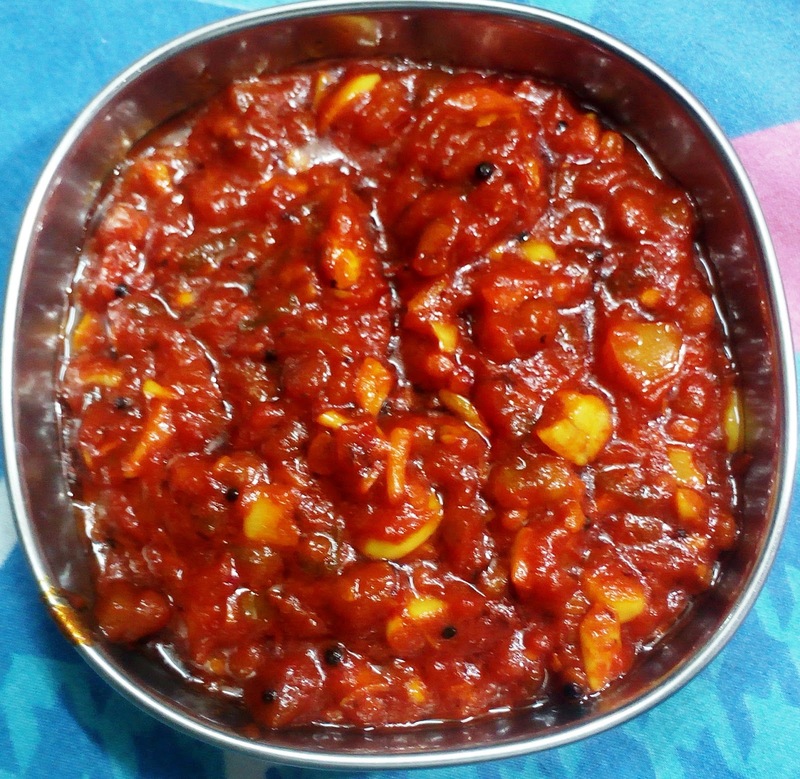 Your Special Tomato Kurma is ready. Chop white Pumpkin into 1/2 inch cubes, wash in water, drain and keep ready. In a kadai add 2 tsp of Groundnut Oil, sizzle 1 tsp of Jeera. Add 1 no. finely chopped green chilly and mix well. Now add Curry leaves, tomato and cook for 3 mins. Add Turmeric, Chilly, Coriander, Jeera powder and mash well untill meshy. Now add Salt. Mix well. Add chopped Pumpkin and mix well. Add 100 to 125 ml water to it, mix well, cover with a lid, and medium cook for 5 to 8 mins depending on cooking level. Remove lid, mix well, and squeeze 1/2 lemon into it and garnish with finely chopped Coriander leaves and serve hot with Roti, chappathi, Phulka, Plain steamed rice of your choice. Your yummy No Onion / No Garlic Khadhoo (White Pumpkim) Tamatar Sabzi is ready. Serve with Joy / Serve with Pride. Try this at home and let me know your feedback. Chop 2 potatoes, wash in cold water with Fresh peas, remove water and keep aside. In a mixer add 2 tomatoes, 2 green chillies and 2 inch ginger, grind to paste and keep ready. In a Kadai, add oil, temper jeera 1 tsp, Aaharam Asafoetida 1 tsp, add the grinded paste, mix well. Add Turmeric Powder and Coriander powder and mix well. Now add the Potato / peas, add water, cover and cook in medium flame for 5 to 7 mins until potatoes are cooked. 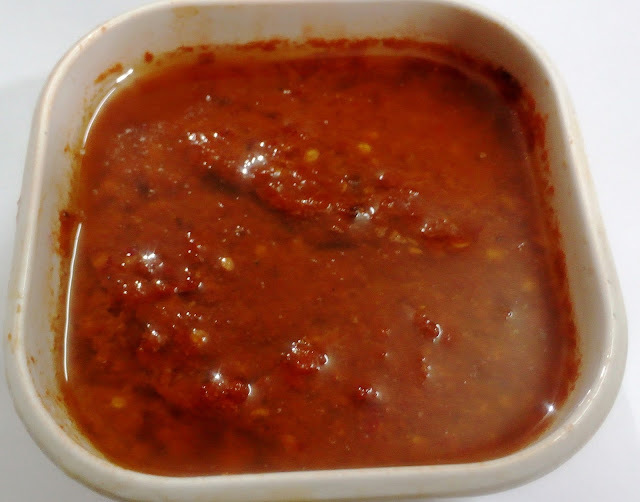 Remove lid, add Red Chilly Powder, check water for consistency, add required salt, mix well and cook for 2 mins. Now add chopped coriander leaves and 1 tsp of Kasuri methi, a Pinch of Garam Masala and serve hot with Roti / naan of your choice. Your yummy no-onion / no-garlic Aalu Mattar Sabji is ready to serve. 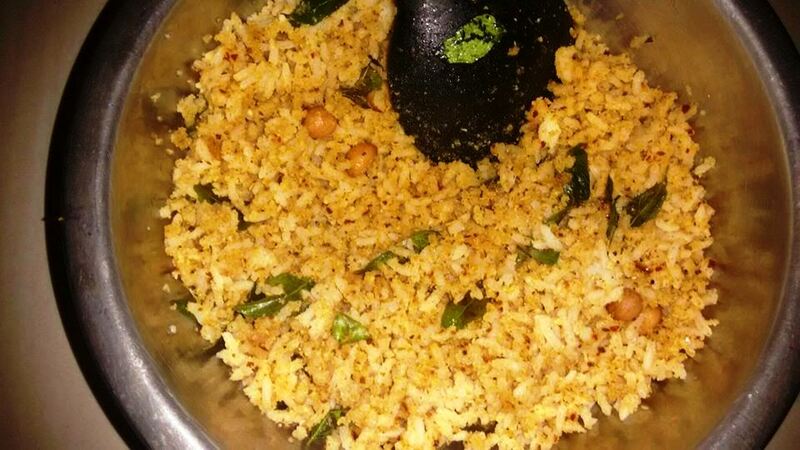 In a bowl, add Maida (3 hand ful), 1 handful Grated coconut, mashed pepper, 1 tsp jeera, 1 full tsp of Aaharam Asafoetida, Chopped - coriander leaves, curry leaves and green chilly, add salt, add a pinch of Cooking soda, required salt and add water and make batter to Idli batter consistency. Allow to rest for 20 mins. 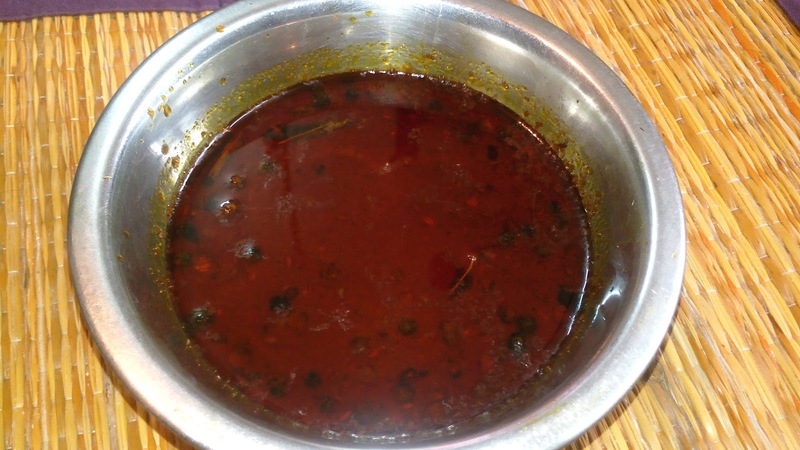 Bring oil to temperature, and pour with a Big Spoon in oil and deep fry, and serve hot with spicy chutney. 1. சப்பாத்திக்கு மாவு பிசைவதற்கு முன்னால் கையில் சிறிதளவு உப்பைத்தடவிக் கொண்டால் கையில்சப்பாத்தி மாவு ஒட்டாது. 2. உருளைக்கிழங்கு வேக வைத்த தண்ணீரில் பாத்திரங்களை கழுவினால் பாத்திரங்கள் பளபளப்பாக இருக்கும். 3. 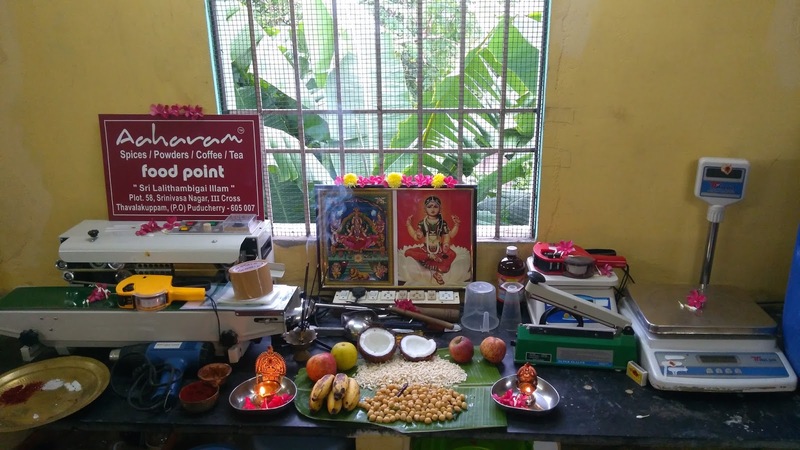 அரிசி மற்றும் காய்கறிகள் கழுவிய தண்ணீரை வீணாக்காமல் செடிகளுக்கு ஊற்றினால் செடிகள் செழிப்பாக இருக்கும். 4. வெயில் காலத்தில் பெருங்காயம் கட்டியாகி விடும். அப்படி ஆகாமலிருக்க பச்சை மிளகாயை காம்பு எடுக்காமல் பெருங்காய டப்பாவில் போட்டால் பஞ்சு போல் மிருதுவாகஇருக்கும். 5. ரவா,மைதா உள்ள டப்பாவில் பூச்சி, புழுக்கள் வராமல் இருப்பதற்கு கொஞ்சம் வசம்பை தட்டிப் போட்டால் பூச்சி, புழுக்கள் வராது. 6. தயிர் நீண்ட நேரம் புளிக்காமல் இருக்க இஞ்சியின் தோலை சீவி விட்டு கொஞ்சம் தட்டி தயிரில் போட்டால் புளிக்கவே புளிக்காது. 7. காய்கறிகளை வேகவைக்கும்போது அதிக தண்ணீர் வைத்து வேக வைக்க கூடாது. ஏன் என்றால் காய்கறிகளில் உள்ள வைட்டமின் சத்துகள் போய்விடும். அதில் உள்ள மனமும் போய்விடும். 8. காய்ந்த மிளகாயை வறுக்கும்போது நெடி வரும். அவை வராமல் இருப்பதற்கு சிறிது உப்பு போட்டு வறுத்தால் நெடி வராது. 1. பச்சை மிளகாயை காம்புடன் வைக்காமல் காம்பை எடுத்து விட்டு நிழலான இடத்தில் வைத்தால் நீண்ட நாட்கள் இருக்கும். 2. நெய் ப்ரெஷ்ஷாக இருப்பதற்கு அதோடு ஒரு வெல்லத்துண்டை போட்டு வைத்தால்ப்ரெஷ்ஷாக இருக்கும். 3. காபி டிகாஷன் போடுவதற்கு முன் சுடு தண்ணீரில் டிகாஷன் பாத்திரத்தை வைத்துவிட்டு டிகாஷன் போட்டால் சீக்கிரம் காப்பித்தூள் இறங்கிவிடும். 4. சீடை செய்யும்போது அது வெடிக்காமல் இருப்பதற்காக சீடையை ஊசியால் குத்திய பிறகு எண்ணெய்யில் போட்டால் வெடிக்காது. 5. சப்பாத்தி போடும்போது சப்பாத்தி போடும் கட்டையில் முதலில் உருண்டையாக போட்டு விட்டு பின்பு அதனை நாலாக மடித்து உருட்டி போட்டால் சப்பாத்தி மிருதுவாக இருக்கும். 6. முட்டைகோசில் உள்ள தண்டை வீணாக்காமல் சாம்பாரில் போட்டு சாப்பிட்டால் மிகவும்சுவையாக இருக்கும். 7. கொழுக்கட்டை மாவு பிசையும் போது ஒரு கரண்டி பால் சேர்த்து பிசைந்து கொழுக்கட்டை சுட்டால் விரிந்து போகாமல் இருக்கும். 8. எண்ணெய் பலகாரங்கள் டப்பாவில் வைக்கும்போது உப்பைத் துணியில் முடிந்து வைத்தால் காரல் வாடை வராது. 9. இட்லி சாம்பாரில் கடைசியாக மிளகு, சீரகம், காய்ந்த மிளகாய், கொத்தமல்லி போன்றவற்றை ஒரு பாத்திரத்தில் போட்டு வறுத்து விட்டு மிக்ஸியில் அரைத்து சாம்பாரில் போட்டால் கூடுதல் சுவையாக இருக்கும். Today 29/09/2017 between 5-6 pm on auspicious GURU Hora, Ayudha Pooja celebrations at Aaharam Factory @ Puducherry. Prayed for well being of all our Aaharam members and for our Home made Products growth. Your blessings / wishes / greetings to all our members and our products are being sought now. Please bless us and all our co-members and co-admins for their bright future. LET US GROW TOGETHER AT ALL TIMES. 1. Soak rice for 30 minutes. In a kadai add oil and butter. Add whole garam masala. Then add onion, then gg paste, green chilly paste. 2. Add tomato. Then Methi leaves, corn. Mix well. Add all powders, soak rice, salt and 3 cups water. Close the lid and cook for one whistle. Remove and cool . Gently mix with fork.